Q: My spouse and I filed for bankruptcy several years ago, hoping to start fresh. We’ve been living within our means and haven’t had so much as a late payment. Yet, when we applied for a home equity loan, we got turned down! The financier said our debt utilization ratio was too high, but we haven’t even opened a credit card since the bankruptcy! What gives? A: You’re the victim of “zombie debt.” Just like in the movies, your debt has risen from the grave, and can be remarkably hard to shed. You don’t need to bunker up with a lifetime supply of canned goods, but you do need to take steps to protect yourself. 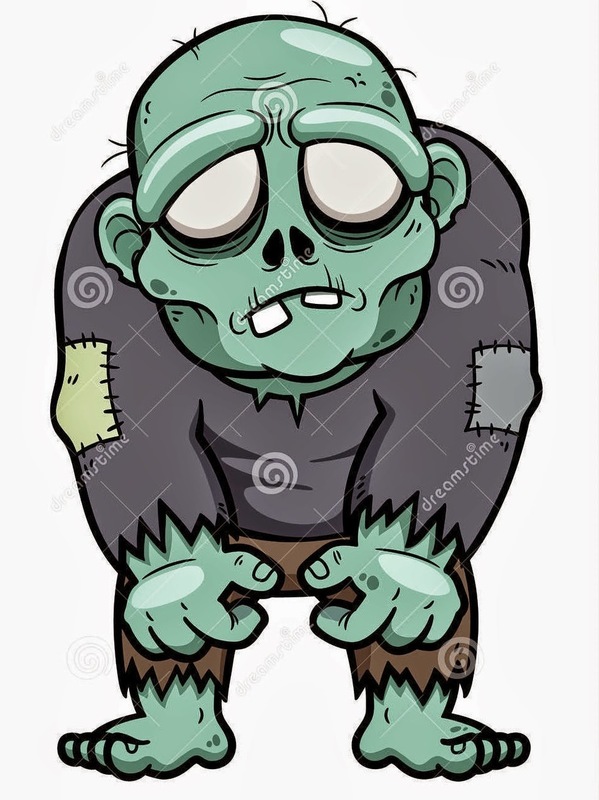 Let’s take a look at what zombie debt means and what you can do to protect yourself. Collecting debts is a fairly expensive process. Companies have to pay for personnel, phone lines, electricity and space for debt collectors to work. In most cases, debt collections are resolved simply and quickly. If it takes more than a few months, companies are likely to “charge off” the debt. These debts still have value and are bought by debt scavengers for pennies on the dollar. Because they bought the debt so cheaply, scavengers can profit by getting people to pay small quantities over time. Their biggest hassle is getting the debtor’s attention. To do so, they’ve got a number of tools at their disposal. They can send threatening letters or make intimidating phone calls, or, worst of all, put the debt on your credit report. If you moved or changed your phone number after your bankruptcy, the first time you hear about the collection effort may well be when you are turned down for a loan. If this happens, there are steps you may need to take to clear up your credit. You can fix this problem by following these 3 simple steps. Your credit report will have the name of the agency that holds the debt. You need to write that firm a letter requesting that they show proof of the debt and their legal authority to collect it. Such a letter should also insist that they only contact you in writing. You have this authority under the Fair Debt Collection Practice Act. The act also provides that agencies which don’t validate the debt remove it from your report within 30 days. Sending the validation letter starts this process. That’s why it’s important to send the letter via certified mail. This creates a firm paper trail that shows when the letter was received. If you are contacted by phone, provide the caller with no confirmation or information. Request the address of the company that holds the debt and tell them to expect a certified letter of validation. If you receive any letters from the company, keep and record the date you received them. Even if the company responds to the validation request, you may not be responsible for the debt. The statute of limitations on the debt may have expired. The debt may have been discharged in bankruptcy, but the creditor may not have been notified of that disclosure. The statute of limitations varies by state and by type of debt, but is usually no more than 6 years. After that time, you are under no obligation to pay the debt. This time period starts when the last “activity” occurs on the debt. This is why collection agents will try to get you to make a payment of any kind. This restarts that time limit and increases the likelihood that the full debt will be collected. If you’ve filed bankruptcy, your creditor may have sold the debt prior to the issuance of the order. The new owner of the debt may not have been notified of your bankruptcy. In this instance, getting a copy of the decree and sending it to the creditor will be enough to get the debt cleared from your report. If the debt still appears after you’ve followed these steps, your credit report is truly in error. You can start a formal dispute process to have the information removed from your report. You can start it online, by mail or over the phone. Be sure to note in your three-bureau credit report which reporting agency has recorded the information in error. If the error exists on multiple reports, file a dispute with each of them independently. Equifax, Transunion and Experian have similar dispute resolution processes. Each will want to know what information is inaccurate. Include any proof you may have to expedite the process. They are required by federal law to decide your case within 30 days, but the deadline extends to 45 days if additional proof is required after your complaint. Once the firms remove your request, the debt can finally be put back into the ground, where it belongs. 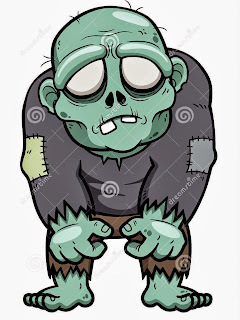 Killing “zombie” debt is difficult, but it can be done. Keep calm, keep documenting and keep improving your credit.